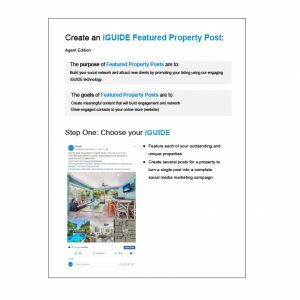 Use the iGUIDE Facebook Featured Prperty Posts document for step by step instructions on how to to create a Facebook post. The purpose of doing a Featured Property Posts is to build your social network by promoting your iGUIDE technology, and recognizing clients. This will help drive traffic and visitors to your website, improving your website and listing search.